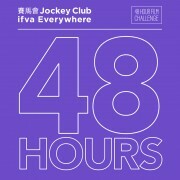 Jockey Club ifva Everywhere – 48 Hour Film Challenge will be an opportunity for you to turn the freshest ideas into a 5 to 8 minute indie short film. 50 teams will be selected to participate in the Film Challenge. In 2 days and 2 nights with limited time and resources, a challenge on team spirit would put participants’ creativity and organization skills to the test. Survive through writing plots and scripts, shooting and post-production. Teams who sprint to the finish line with completed short films will be eligible to compete for the “Jury Prize” (cash prize of HK$50,000) and the “Audience Prize” (cash prize of HK$50,000) ! Act now! The 23rd ifva Awards Jury Meeting Transcripts have been published. Check out the transcripts to find out how the jury selected the winners and to know more about the awarded works this year! The 24th ifva Awards will call for entry from July. Stay tuned at ifva website and Facebook fanpage! The 23rd ifva Awards Presentation Ceremony was successfully held at Hong Kong Arts Centre Cinema on 17 Mar. Check out the award winning list! “All About Us 2017/18” camp activities have successfully completed! Under the guidance of professional filmmakers and video artists, ethnic minorities students transformed creativity into moving images to break free from the confinement of race, region, language, and gender. The six student works and two outstanding works from the “Intensive Shooting Challenge” will be showcased during The 23rd ifva Festival. Stay tuned and check out All About Us Facebook for more information. 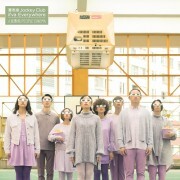 Organised by the Hong Kong Arts Centre and exclusively funded by The Hong Kong Jockey Club Charities Trust, the inaugural Jockey Club ifva Everywhere will bring you a series of exciting events, covering short films, videos, animation and media arts. Come and delve into the world of moving images, and explore boundless viewing experiences that build up the independent spirit and creative communities.